EPISODE 1: “Batman”: WARNING to all villains: There’s a new super hero in town! 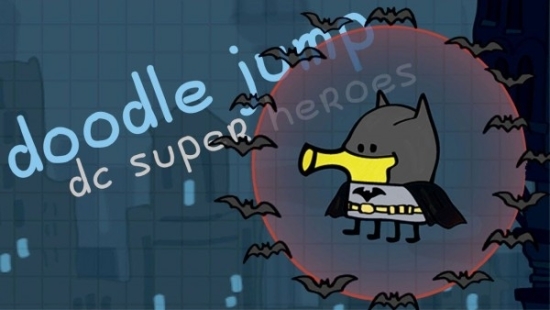 Doodle the Doodler of Doodle Jump fame learned a trick or two from Batman and is now facing off against Gotham’s most infamous villains – The Penguin, Mr. Freeze, The Joker, The Riddler and more – in a chase to save the powerful stolen crystals. … Stay tuned for other episodes with Doodle as other powerful DC Super Heroes! Mad Hatter and his henchmen, Tweedledee and Tweedledum, are stealing all the crystals! 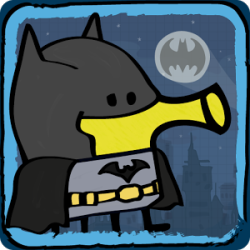 Stop them to save Gotham!